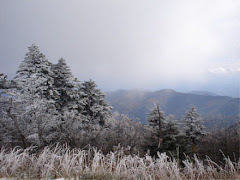 February 20, Sugar Mountain Ski Resorts, Sugar Mountain Village - Banner Elk North Carolina. Crescent Ski Council Competition - Slalom & Giant Slalom competitions for Crescent Ski Council members. Competitions begin at 9 am. Boss Hawg Live - Enjoy the acoustic sounds of North Carolina High Country bluegrass from 4:00-6:00pm. Feb 20, Beech Mountain Ski Resort, Beech Mountain North Carolina. SkiSoutheast.com is sponsoring a one day summit for members of its "messageboard" - those who have signed up for email news. Instead of paying full price for a lift ticket - you can ski for HALF PRICE for day or twilight ski and snowboarding sessions just for being a member of the SkiSoutheast.com / SkiNC.com Messageboard community. There will be lots of fun, LIVE ENTERTAINMENT, boardercross competitions, great ski conditions and we'll be holding an auction to raise money for the American Cancer Society and Boarding 4 Breast Cancer. February 20, Beech Mountain Ski Resort, 1007 Beech Mountain Pkwy, Beech Mountain North Carolina. “Shreddin the Love,” will take place at Beech Mountain Resort and will be Boarding for Breast Cancer’s first event in the South East. Slopestyle and Boardercross competitions will be taking place at 12 p.m. and 2 p.m. respectively; entry fees are simply a donation to the cause and participants can register in the Beech Tree Bar from 10 a.m. to 11:30 a.m. A verbal auction will take place at 4:30pm. Those in attendance will be able to bid on great prizes like vacations, season passes, ski and snowboard gear, gift certificates, and more. Kids’ events, including face painting, inflatables, and kids’ ice skating discounts, will take place throughout the afternoon, and those who donate to this worthy cause will get to ice skate for free from 7:30 p.m. to 9 p.m. At 9:15 p.m., the luminary lighting ceremony will begin, followed by great live entertainment by local musicians Yo Mama’s Big Fat Booty Band and Native Sway, and this exciting event will come to a close with a spectacular fireworks display. Ski FREE for Eight Weeks! Feb 15, Appalachian Ski Mountain, Blowing Rock North Carolina. As of President’s Day Monday February 15, Appalachian Ski Mountain. is offering its best season membership deal ever: Buy a 2010-11 season membership before April 11 and ride free for the last 8 weeks of the 2009-10 season. New this year, Appalachian is also offering exciting additional benefits for any new or current member who buys a 2010-11 season membership by April 11. Alpine Ski Center, 3440-B Tynecastle Hwy, Banner Elk North Carolina.We offer Alpine's "Boot Fit Guarantee" with every ski and snowboard boot purchased at Alpine. So if you're having any fit issues bring your boots (and socks) to the store and we'll make it right. It's our promise that we'll work with you until you are satisfied with the fit-at no charge to you for parts or labor. Lake Junaluska Conference and Retreat Center, Lake Junaluska North Carolina. It's not too late to book a ski retreat with your youth! There are a few THAW ski weekends with programming still available. Looking for a real bargain? Mid-Week and Late Season Skiing Packages also available, starting at just $105 per person. Sugar Mountain Ski Resort, Sugar Mountain Village near Banner Elk North Carolina.You’re guaranteed savings of 30-40%! Feb 14, Beech Mountain Ski Resort, Beech Mountain North Carolina. Edge of the World SlopeStyle & Bordercross Series Competitions at Beech Mountain Resort. Three dates: Jan 31st, Feb 14th. Finals held on March 7th. Come check out the EDGE VS THE WORLD Contest Series. The first installment of three contest will be held this weekend at BEECH MTN. -SIGN UP: will be in the Beech Tree from 11:00AM until NOON.